In August of 2017 – in his address at the graduation of 133 military participants of the Course 25 of the National Defense College Abuja, and the college’s silver jubilee; titled, “The Battle Has Changed” – the Vice President of the Federal Republic of Nigeria, Prof. Yemi Osibanjo said, “I challenge the elite of our armed forces that if militant terrorist groups and Internet hackers are constantly re-inventing themselves, taking advantage of emerging-technologies, you have no reason whatsoever not to be at the cutting-edge of technological warfare”. This call to cyber-arms is poignant in the face of heightened insurgency by the Boko Haram group in Nigeria since 2009. While not marked by a reliance on sophisticated technology, the group’s sustained and vicious attacks on lives and property build an urgency to explore every asset within the means of the country’s civil-defense apparatus; to safeguard the citizenry. 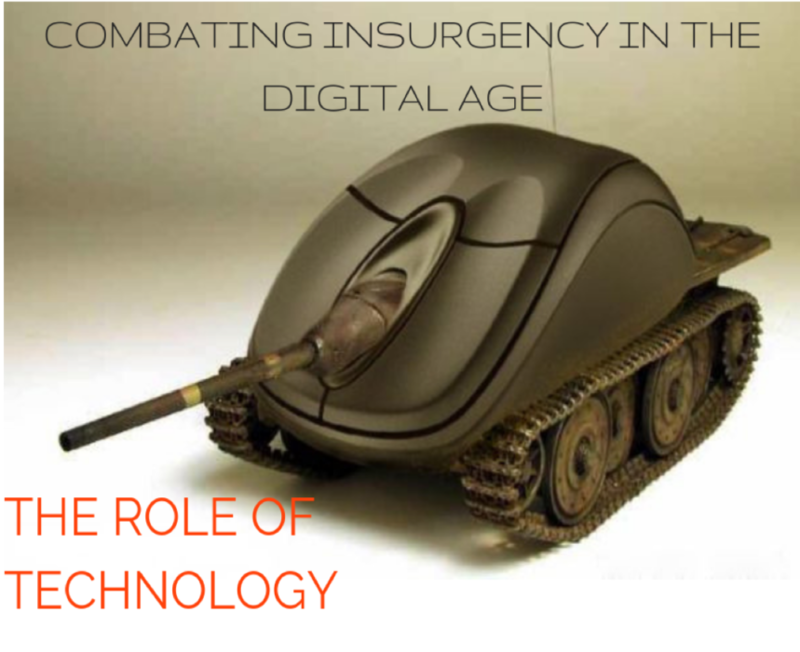 In this digital day, technology sits uppermost on any list of strategic-options for defense. In the message of the Vice President’s admonishment, the Nigerian civil-defense strategy must be restructured on a digital-framework, in order to leverage an abundance of new-age counter-crime resources. The insurgents operating under the rubric name jamā’at ahl al-sunnah li’l-da’wah wa’l-jihād (JASDJ) are commonly referred to as Boko Haram – to reflect their ideological opposition to secular Western influence (Boko Haram translates to mean Western or non-Islamic education is abominable or a sin). The group emerged after breaking away from the reformist Salafi/Wahhabi groups in Northern Nigeria, that have been challenging the established sufi orders, the Tijaniyya and Qadiriyya; since the late1970’s. While opposed to Western-influence, Boko Haram is not averse to employing modern technology (in weaponry, explosives and communication-tools) to advance its cause. Their attacks have thus far focused primarily on the Northern part of Nigeria – particularly the North-East – and their hallmark has been suicide-bombings. Since the start of their attacks, thousands of Nigerian civilians and military personnel have been killed. By May of 2013 Boko Haram controlled large areas of territory in Borno State, including much of Northern and Central Borno and Damboa in Southern Borno. The Nigerian Joint Task Force (JTF) – which in addition to the army included Mobile Police operatives and members of the Department of State Services – was deployed to combat insurgency in Borno and Yobe States. Logistics constrained sustained defense-operations to populated regions, and so the insurgents receded to the remote Savannah forest that extends across much of Southern Borno and into parts of Yobe. This made counter-insurgency efforts very tasking, with the deep-cover of the forest concealing the insurgents, and gifting them the advantage of surprise-attacks and ambushes. Much like the infamous American war-effort in Vietnam, the challenge with battling a Boko Haram domiciled in the forest has been the challenge of fighting ‘an adversary that you can’t see’. After the horrific abduction of over 200 young girls from their secondary school in Chibok LGA Borno – by Boko Haram fighters – the Commander of the U.S. Special Forces Operation in Africa announced plans to deploy information-technology that would share communication-equipment and intelligence with African allies to assist them with counter-insurgency. Also, as part of the annual U.S.-sponsored ‘Flintock’ counter-terrorism exercise in Chad, the United States would introduce technology to allow African partners communicate between cellphone, radio and computer. The technology would allow soldiers in the field to transmit photos from a remote location immediately to a central Command Room; and could also precisely pin-point coordinates of personnel. The U.S. military also undertook to introduce cloud-based technology to allow African allies to quickly share intelligence across borders; such as mapping information on the location of potential targets. Recognizing its immense utility, Nigeria by its own efforts as well has forged some internal collaborations, and made long strides forward in technology-based counter-insurgency. The Federal Government of Nigeria mandated mobile-network operators in the country to biometrically register every owner of a functional mobile telephone sim-card in the country, and to deactivate every unregistered one beyond a designated grace-period. This was accomplished successfully. Furthermore, these operators were alleged to have assisted security personnel with surveillance (through their mobile devices) of suspected insurgents – for which the insurgents retaliated heavily. In September 2012 insurgents launched a 2-day coordinated attack on telecoms-masts in Borno, Bauchi, Gombe, Kano and Yobe (Boko Haram through its spokesperson Abul Qada claimed responsibility for the attacks and stated retaliation against the mobile-network operators as the reason for them). In 2012 alone, telecoms-operators in Nigeria lost about N75 billion to damage from Boko Haram attacks and floods. Also with the collaboration of telecoms operators in the country, on the 23rd of May 2013 the Nigerian military ordered the complete shutdown of GSM operations in the 3 states that were the hot-beds for Boko Haram insurgency – Adamawa, Borno and Yobe. This rather broad effort was to cripple communications within the sect for a period of a counter-insurgency campaign by the military in those regions. The Nigerian Police then deployed Code Division Multiple Access (CDMA) on Global Open Tracking Architecture (GOTA) for closed, in-force communications. NIGERIAN IMMIGRATION SERVICE (NIS) for International Passports. FEDERAL ROAD SAFETY CORPS (FRSC) for Driver’s Licenses. NATIONAL POPULATION COMMISSION (NPC) for Census data. NATIONAL IDENTITY MANAGEMENT COMMISSION (NIMC) for National Identity Cards. JOINT ADMISSIONS AND MATRICULATIONS BOARD (JAMB) for candidate registration. INDEPENDENT NATIONAL ELECTORAL COMMISSION (INEC) for Permanent Voter’s Cards (PVC’s). What is important for the country at this point is the integration of the data from the different sources, as well as an intelligence-based trans-national collaboration on biometric-data within the African continent. On a positive note however, on the subject of data-mining on a trans-national front, Nigerians and Ghanaians attempting to join ISIS have been intercepted and arrested across international borders; on the basis of intelligence gathered from their online activities – groups like ISIS and Al Qaeda actively solicit membership on social media. There is a lot more to be achieved on this front. Foremost, an integrated national citizens’ database is imperative in the short-term; where the goal is for a biometric record of every citizen, as well as of other residents/visitors. This is crucial to counter-insurgency response and planning. The examples from the developed world, where news agencies are furnished with images of terror and criminal-suspects in mere hours after the crimes should inspire our country’s efforts. While this currently is in use, available infrastructure is grossly insufficient. The long-term goal is for every urban populated area to be completely mapped by cctv coverage. Other key, security-sensitive areas outside of these areas are to be covered as well. NigeriaSat-X and NigeriaSat-2, our communications-satellites, are incapable of the nature of surveillance required for aerial views of insurgent hideout-regions like Sambisa Forest in Borno. While satellite infrastructure and launch are tremendously expensive, a cost-value analysis would reveal the utility in averted life and property loss justify the expenditure. Unmanned aerial-vehicles can fly over hot-bed regions and collect visuals that would augment satellite-imagery. Drones can also be used to ‘smartly’ deploy bombs on targets, with minimized collateral impact. Technology is ever-evolving, and at a rapid pace – and everyday new opportunities present themselves through innovation for advancing humanity. The darker aspects of humankind (insurgency and other forms of needless violence) abide next to the good always; but we are ever more able to push back evil with the creations of our ingenuity. If the tremendous leaps in technology of recent years are anything to go by, the future holds untold wonders with what can be achieved. Hopefully the collective goodwill of humanity can someday vanquish all crime – but in the time-being, we can use what technology is available to fight the fight……..and for the sake of lives that may be lost otherwise, not lag behind. TOL offers a wide range of technology-based solutions & consultancy services to the defence, oil & gas and education sectors in Nigeria and Sub-Saharan Africa. © THE OFFSHORE LAB 2018. ALL RIGHTS RESERVED.